My name is Heather Whatton and I am excited to be a new contributor and a part of this community! 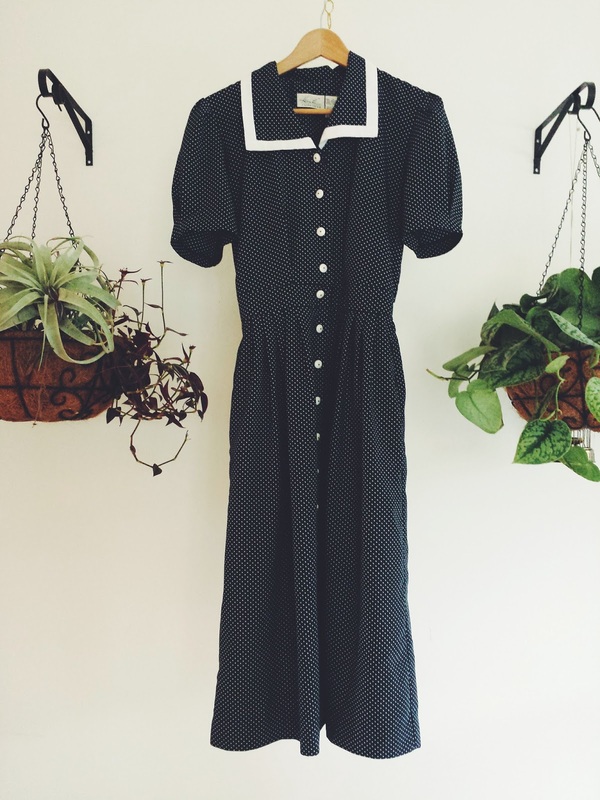 I started to remake dresses a few months ago and I have been loving it. 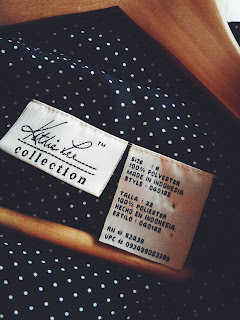 One of the reasons I started to refashion clothing is because I have a petite frame and it is often difficult to find clothing that fits me properly. 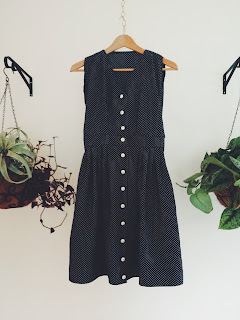 I had been wanting to learn to sew in general so I thought that working on thrifted clothing would be a good place to begin. Plus: rumaging through Goodwill/Antique stores is one of my favorite activities these days and I love to see an old dress be revived. It makes me happy to find a community that shares the same interests and I look forward to getting to know everyone better. 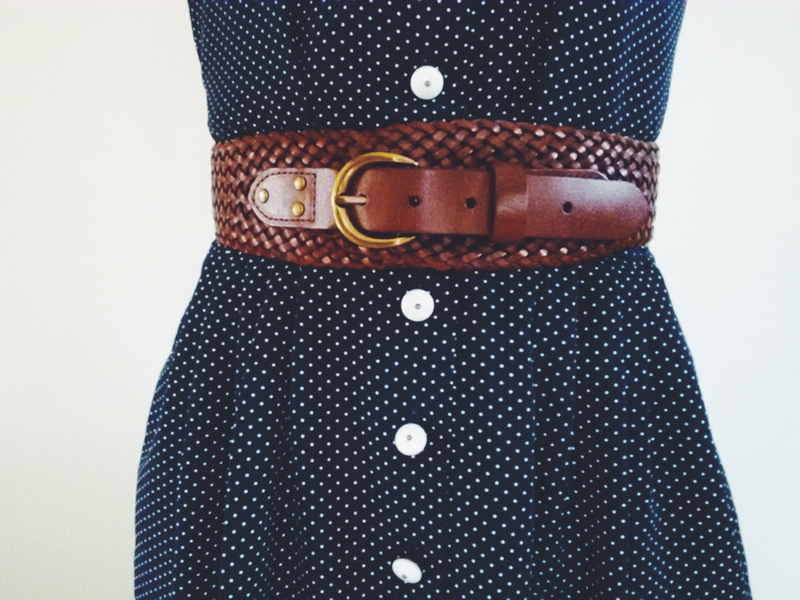 This was my first refashion! 1. I removed the shoulder pads, sleeves and the collar with a seam ripper. 2. The waist line was too low on me so I took 2 inches off the top of the dress to raise the bust line and waist line. Hi Heather! Love the more modern look of your first refashion! Welcome! 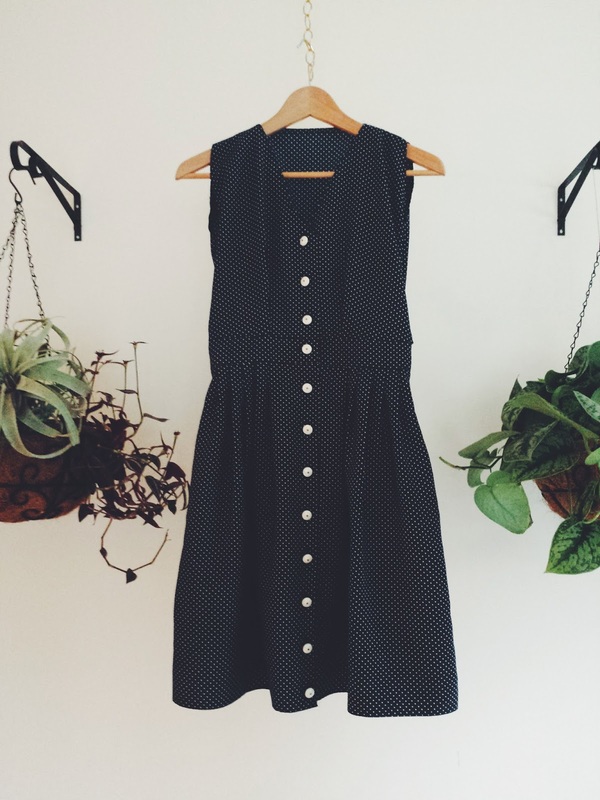 I'm a sucker for anything with dots. 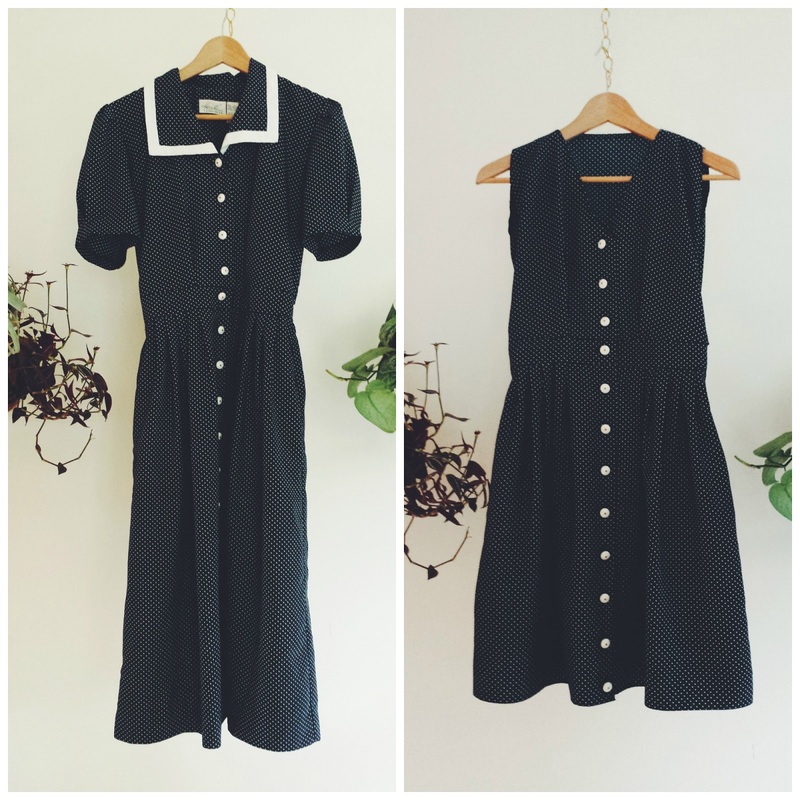 Great pick and great refashion! Welcome! Great first refashion! I love the polka dots and the classic black and white, plus the after is now sweet and modern :) Thanks for joining us! Great changes and good, clear instructions - thank you!